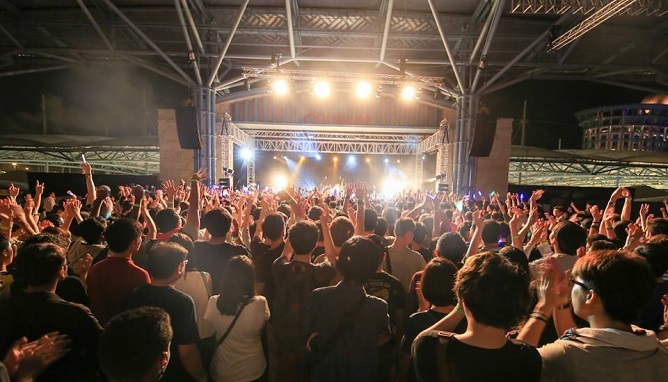 It was one huge testosterone fest as all-girl rock quartet SCANDAL commanded an army of spellbound fans at their [HELLO WORLD] World Tour in Singapore on 8 May 2015. We’re often told that Japan stages some of the best concerts ever, so we headed down to The Coliseum @ Hard Rock Hotel expecting a head-bangin’ shindig filled with awesome live music. And that was exactly what we got. Psst… have you checked out our interview with SCANDAL yet? 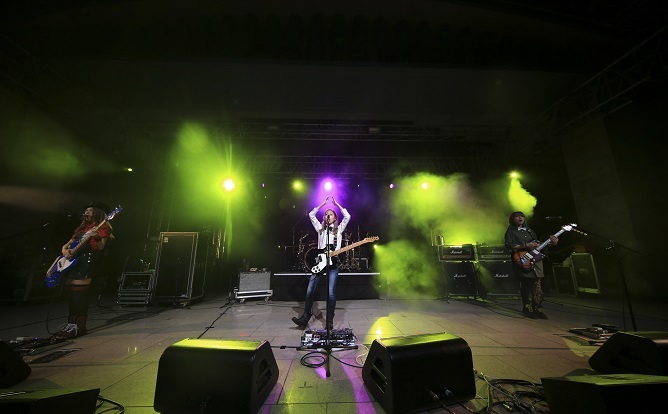 When it comes to playing live, SCANDAL – consisting of lead vocalist Haruno Ono, bassist Tomomi Ogawa, guitarist Mami Sasazaki, and drummer Rina Suzuki – proves that there’s no such thing as backing tracks or lip-syncing in their shows. If anything, they are more than capable of cranking up the instruments and flawlessly hitting the notes while at it. 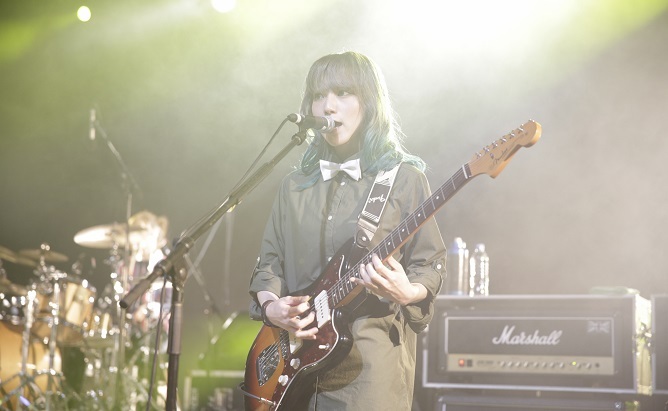 The spunky foursome shot through a 15-piece set list comprising mostly classics like ‘Harukaze’ and ‘Doll’ as well as new numbers like ‘Image’ and ‘Onegai Navigation’ for over two hours. Major props to ’em! Okay, so obviously SCANDAL wasn’t going to go all Katy Perry on us (have you read our Katy Perry concert review, btw? ), but that doesn’t mean their concert was any less amazing. 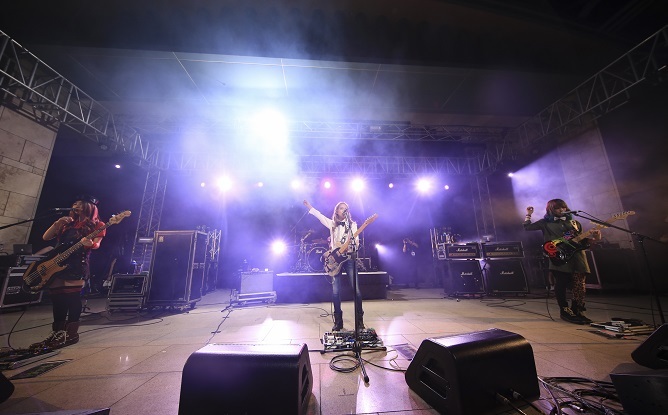 There wasn’t any elaborate set-ups or flamboyant costumes – all it took was just sheer stage presence and a few pulsating lights to get the crowd up and grooving. Such young yet solid acts are hard to come by, but we’re glad SCANDAL’s never afraid of pushing the envelope for their shows. On stage, these ladies can wield a guitar better than a modern-age samurai. Off stage, they’re no more than just a group of humble, music-lovin’ girls who genuinely enjoy what they do. In town for their world tour, SCANDAL takes on a round of wordplay based off their Hello World album track list. Read on for their adorable quips! IMAGE – Which member is the most different from their on-stage personas? YOUR SONG – If you could choose any song in the world to be the soundtrack of your life, what would it be? Mami: Foo Fighters’ ‘Bridge Burning’. Life would be rather different if I’ve never heard of this song. I like composing, and this track gives me a direction on how I create my music. Haruna: Earth and Fire’s ‘September’. This song stuck with me since middle school. It all started when I saw them live at the Summer Sonic Festival and I just couldn’t get it out of my mind ever since. Rina: Taylor Swift’s ‘Welcome To New York’. Since we’re of the same age, it amazes me how Taylor Swift can have so many fans and hold so much influence all around the globe. I’m greatly motivated [by her]. Tomomi: Carole King’s ‘So Far Away’. I first heard it during dance class when it was used as one of the practice tracks. Similar to Mami, listening to this song influences how I actually compose my music. LOVE IN ACTION – Which member’s the most likely to confess her feelings to the guy she likes first? Haruna: Definitely not Mami or Tomi! (Laughs) Rina and I are a little clumsy, so even if we don’t express our emotions explicitly, the guy would probably have guessed it! RUNNERS HIGH – If you could run away from your current life for one day, where would you go and what would you do? Tomomi: My childhood dream was to be an architect, so I’d want to live in a place where I personally designed. GRADUATION – From an indie high school band to becoming one of the most popular J-rock acts, what do you feel has changed since graduating from high school? Mami: Probably our hair colour. (Laughs) We’ve always had long, black tresses in school and have never dyed our hair before. But the timing was nice – our hairstyles switched up quite a bit as we transition into adulthood, and now we’ve become a successful band! Missed ’em at the [HELLO WORLD] World Tour in Singapore? Head over here for our full concert review! The Beckhams are a fine specimen of what any celebrity family should be – successful, happy, projects the right values and insanely good-looking. We look at some little-known facts about the Beckham family. 1. Victoria Beckham’s mother brought her to watch the musical film Fame which inspired her dream to become a singer. She was only 8 years old then. 3. Due to OCD, David is addicted to the pain of needles and needs to sort his food out – he has three refrigerators, one for food, the second for salads and the third, for drinks. 4. David Beckham is the most searched sports man on Google in 2003 and 2004. 5. The Beckham family is very down-to-earth. Brooklyn Beckham works at a local café (despite being rich), Victoria Beckham is a philanthropist and David Beckham once did a surprise phone call to a fan who is bed ridden in the hospital and signed a Real Madrid shirt for her. 6. 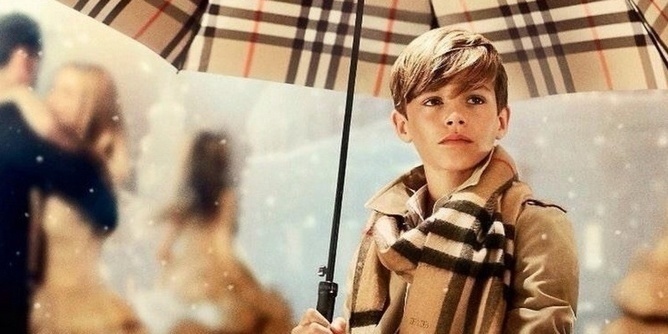 Romeo Beckham is paid £45,000 for a Burberry Christmas advertisement. 7. 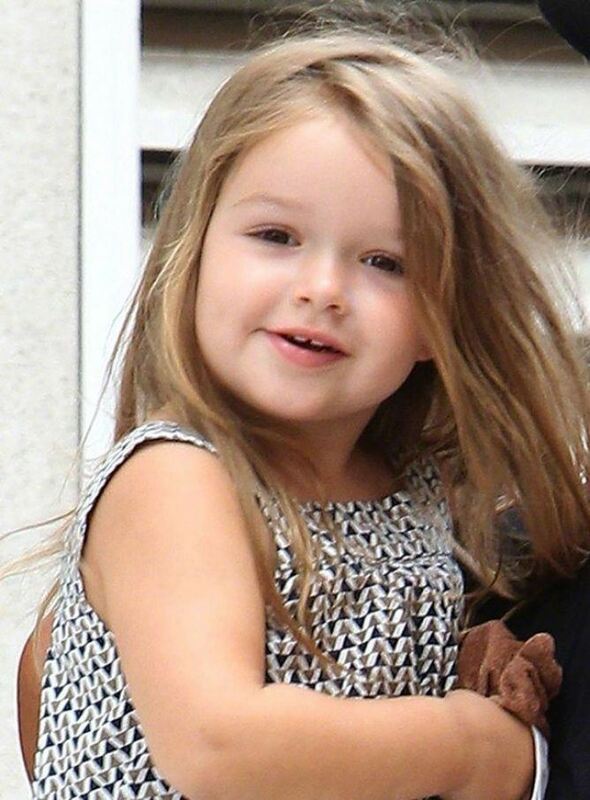 Harper Beckham wore her mum’s heels everyday with her ballerina outfit and wears her brothers’ football boots from time to time. 8. 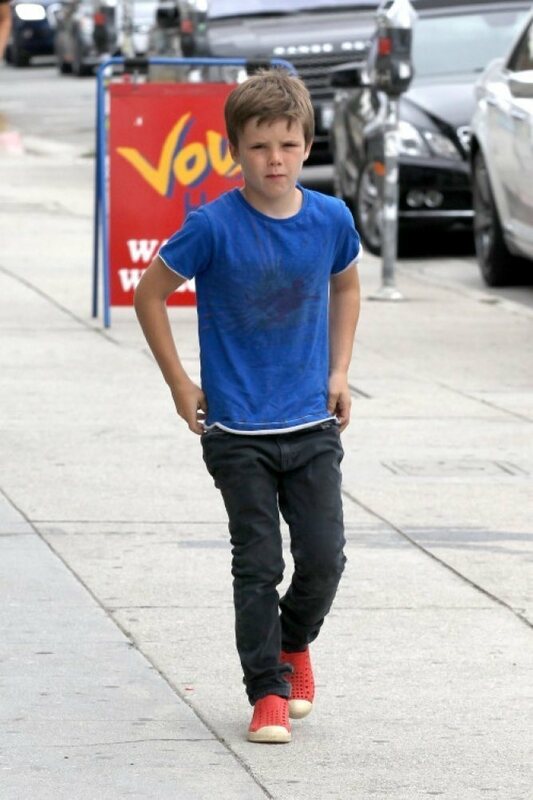 The Beckham children style themselves (although it helps to have a fashionista mom). 10. The first thing Cruz wanted to learn during sign language when he was 5 is how to say ‘I have gas’, the ‘s’ word and what other swear words there are. Super exciting news for K-drama lovers out there! Starting end May, ONE will be airing all prime-time drama series within 24 hours from its first telecast in Korea. Dramas will air with localised subtitles so viewers will no longer have to wait for weeks/months for your favourite dramas! They are kick-starting it with 2 new dramas, which will air 1 day after it premieres in Korea. A drama about people hiding their true identities, to get what they want in life. This exciting drama stars powerhouse and award-winning actress Soo Ae (King of Ambition), Joo Ji Hoon (Princess Hours), INFINITE’s Hoya (My Lovely Girl) and Yu In Young (My Love From The Star). True Romance is a heartwarming drama, it follows the story of a young woman – who despite her chaebol (rich and upper class) background – decides to take on a part time job at a food market, to find someone who loves her for who she is and not what she has. 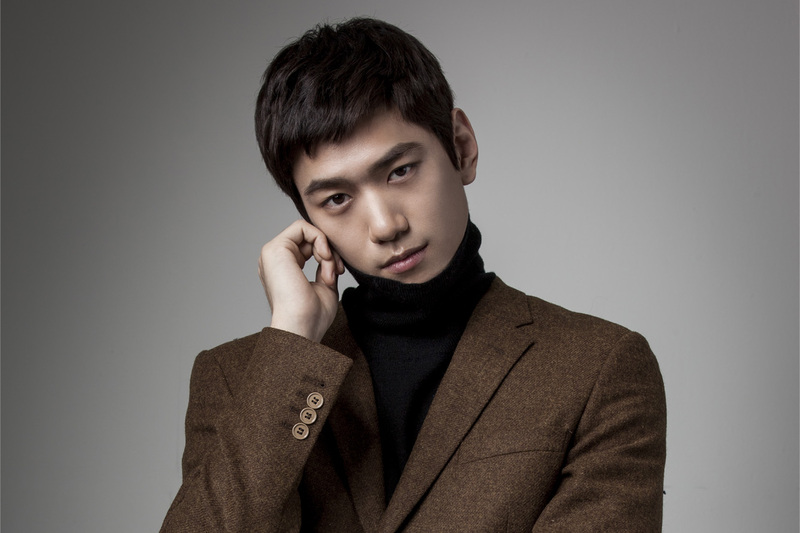 The drama features a very colourful ensemble including KPOP idols UEE from After School, Sung Joon (Hyde Jekyll, Me), ZE:A member Park Hyung Sik and Lim Ji Yeon. Singtel TV Ch 513, 604 and StarHub TV Ch 124, 820 and 823.
Who's Appearing in Taylor Swift's 'Bad Blood'? As we eagerly await the premiere of Taylor Swift’s new MV ‘Bad Blood’, we can’t help but marvel at the star-studded cameos by Hollywood A-listers. If anything, not appearing in ‘Bad Blood’ is probably an indication of the star’s slipping popularity cause it seems like anyone who’s anyone is starring in it. We compiled the list of the ones who are making an appearance and what we think their alter-egos are. Who: Singer-songwriter. Nightmare dressed as a daydream, possible Starbucks lover. Speculated alter-ego: Catastrophe aka bringing chaos and mayhem wherever she goes. Who: American actress, singer and dancer. Best known for Disney Channel series Shake It Up. Speculated alter-ego: Cut-Throat aka knife-wielding assassin who specialises in ending the mark by slitting his/her throat. Who: American singer, songwriter and musician. Lead Singer of rock band Paramore. Speculated alter-ego: The Crimson Curse aka when you see red, you run and don’t look back cause she’s going to get you. Speculated alter-ego: Slay-Z aka warrior who had chocked up the highest kill-count. Who: English singer, songwriter and multi-instrumentalist. Speculated alter-ego: Destructa X aka gun specialist but mostly turns to her trusty bazooka. Who: American actress, author, screenwriter, producer, and director. Best known for HBO series Girls. Speculated alter-ego: Lucky Fiori aka the brains behind the operations. Smokes cigars while watching the world burn. Speculated alter-ego: Welvin Da Great aka the only guy so far. Who: Fashion model, Victoria’s Secret Angel, fitness advocate, Tay-tay’s BFF. Speculated alter-ego: Knockout aka she can take you down with her bare hands. Who: Actress, singer, and dancer. Best known for her role as Tiana Brown in Empire. Speculated alter-ego: Dilemma aka you have made many wrong choices in life, but none as bad as running into her. Speculated alter-ego: Domino aka lays out her plans and destroys you systematically. Who: American actress and producer. Best known for her role as Meredith Grey in Grey’s Anatomy. Speculated alter-ego: Luna aka operates at night with only the moon as her source of light. Who: American actress. Best known for her role as Sergeant Olivia Benson in Law & Order: Special Victims Unit. Speculated alter-ego: Justice aka she will mess you up so bad with those spiked gloves.